The Adriatic side of the Italian coast, from Trieste to Gallipoli, is rich in history and charm. A cruise on these shores becomes suggestive thanks to impressive changes, clearly visible from the sea. Trieste is renowned for its tradition in sailing as well as the many historical coffee shops located throughout the city. Venice is considered by many as the most beautiful city in the world. 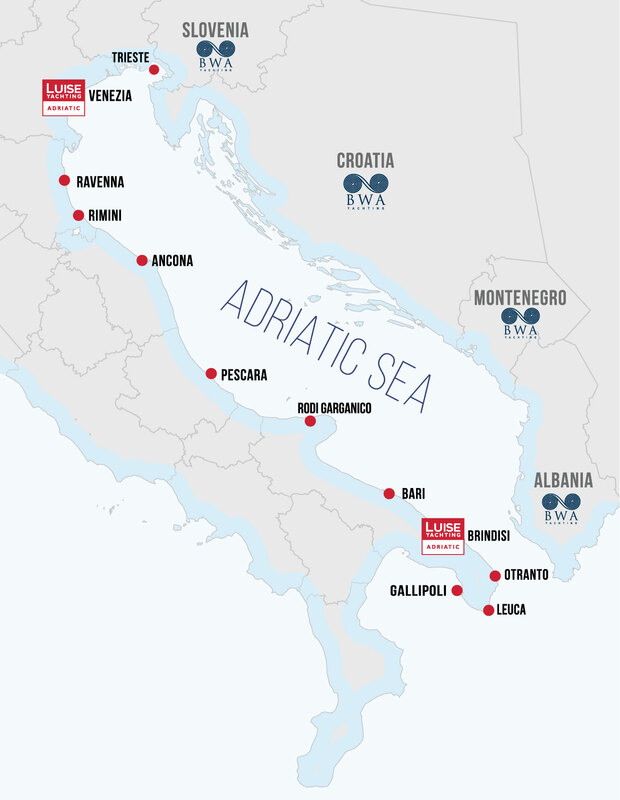 The canals, gondolas, famous palaces and bridges, glass-blowing and numerous churches and museums make the city a must-see for any Adriatic cruise. Ravenna is famous for the Byzantine style, and a quick stop here allows visitors to see some of the most remarkable mosaics in Italy. Rimini and Ancona are famous for spa services, shipbuilding and marine excellence, and they offer the possibility to explore many parks and nature reserves. Pescara offers romantic and pleasant scenery, along with some of the best shopping areas that can be found. Finally there is Puglia, where the ports of Bari, Brindisi, Otranto and Gallipoli, enchant these territories through a prosperous tradition and folklore, wholesome flavors and clear waters. The region produces more wine than any other in Italy, and the citizens are appreciated for their friendliness and hospitality to all visitors. From north to south, the Adriatic side of Italy offers some of the best dining and wine tasting experiences in the world.